Marks Models was founded in 1987 following the demise of the Southern Model Railway company. Since then we have expanded the range of products stocked and now have three retail stores and our webstore which you are now visiting. We stock model railways, die-cast (cars, trucks, buses, aircraft etc) of which a great deal are discontinued clearance items at super discounts, We stockplastic kits, aircraft, military, cars, trucks, sci-fi, wooden ships, aircraft kits, tools and airbrushes glues paint etc. Marks Models are the largest stockist in Ireland of Corgi and Hornby products and we attempt to keep these ranges in stock all the time until themanufacturers are sold out. This is particularly relevant to Corgi products which are produced as limited edition items. Our EPOS computerised stock control system includes over 44,000 different products and this website now has over 30,000 products on it, so if you cannot find an item, just ask. We attend a great deal of Agricultural and Motor Car and Truck related events throughout Ireland and the UK every year together with the some of the major Model Railway Exhibitions and are only to happy to bring anything along that you maybe looking for. This website is constantly being updated and added to but it is only one small part of what Marks Models is all about. Marks Models have experts in all fields of the wide range of products sold who will be only to happy to answer any queries you may have. 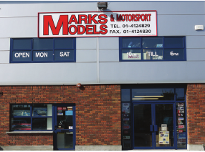 Marks Models also purchase collections of Model Railways and Diecast Vehicles, this can only be done in Greenogue. 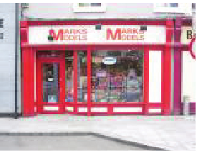 If you have not experienced a Marks Models bricks and mortar shop we would welcome you to come and visit one or all of our shops.